The weather is getting warmer and we can dine outside in the evenings, what a lovely life we have here in North Cyprus. So if you are thinking of an evening out, dining under the stars, what nicer place than Al Shaheen in Karakum. 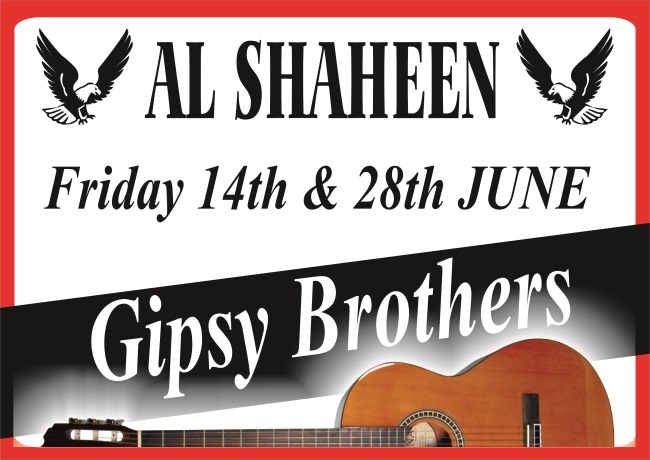 A couple of dates which may be of interest are 14th and 28th June, when Al Shaheen have the Gipsy Brothers there to entertain their customers with some nice relaxing music and also later in the evening maybe some more energetic music that you can dance to. The terrace area is large, the tables are well spaced out and there is still plenty of room to get up and dance if you wish. Make a note in your diary if you are thinking of a night out, perhaps you have visitors and would like to take them out for a nice meal with some entertainment thrown in. 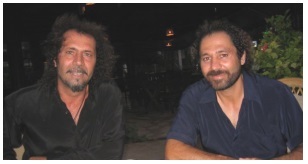 This entry was posted in Our Friends, Special Events and tagged Al Shaheen Karakum, Entertainment, Gypsy Brothers, Karakum, North Cyprus by kyreniacatkin. Bookmark the permalink.